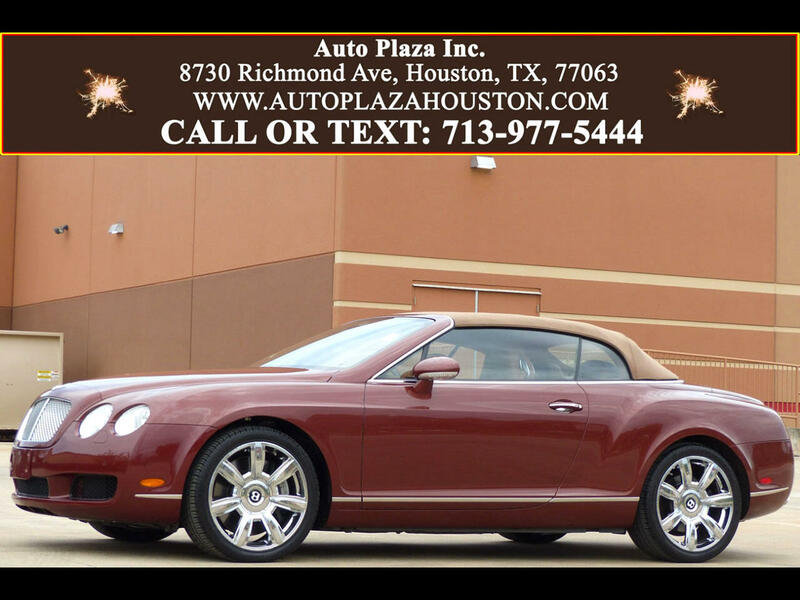 Used 2008 Bentley Continental GTC Convertible for Sale in HOUSTON TX 77063 Auto Plaza, Inc.
Auto Plaza Proudly Presents this STUNNING One Owner 2008 Bentley Continental GT With A Super Smooth Twin Turbo W12 Engine Mated to a Slick 6 Speed Automatic Transmission. This Car Will LEAVE YOU SPEECHLESS!! It it is LOADED with Navigation, 20' Alloy Wheels, Rear View Camera, Keyless Entry With Push Button Start, Premium Audio, Bluetooth Handsfree, Power Heated Leather Memory Seats, Power Open and Closing Trunk, Paddle Shifters, Directional Stability Control, Parking Distance Control With Front and Rear Sensors, Xenon Lights, Power Folding Heated Mirrors, Drilled Alloy Pedals, Piano Black Interior Trim, Air Suspension and Too Much More to List! That Being Said, You Can Only Know the Bentley Experience After You Take a Test Drive and See For Yourself!!! This is THE RIDE OF YOUR LIFE!!! CALL NOW!!! Financing Available.